Fitness may seem like an expensive pursuit, but it doesn't have to be! 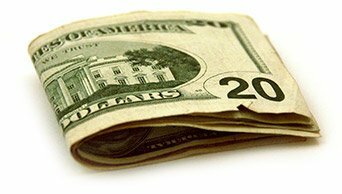 Here are 5 ways you can make your dollar go a long way. In this world of product placement, commercialism, and consumption, it feels impossible to do anything unless you have the right product. Eating, working, socializing, even sleeping seems to require you to buy something to help you do it better. Go running? How can you do that if you don't have those fluorescent green kicks you saw on Facebook yesterday? The fitness industry is not immune to this trend. Although there's no harm in purchasing products that will help you get or stay fit, a problem occurs when people think they can't get started without a particular food, product, gadget, pill, or tool. Your health should definitely be an investment, but it doesn't have to be an investment that costs an arm and a leg—you're going to need those to lift weights! You can get yourself 90 percent of the way there without ever so much as lifting your wallet for one rep. It's true that if you want to get fit, you'll have to spend money on more expensive food. Filling your shopping cart with bags of chips, soda, and Top Ramen just won't provide the nutrition you need to build muscle and lose fat. Although you'll have to buy different food, it doesn't mean you'll have to spend a lot more money. I suggest that you keep your current grocery budget, but swap your food choices and shop mindfully. Watch for deals. Sometimes you can get two packages of meat for the price of one. Some healthy foods can be very cheap. 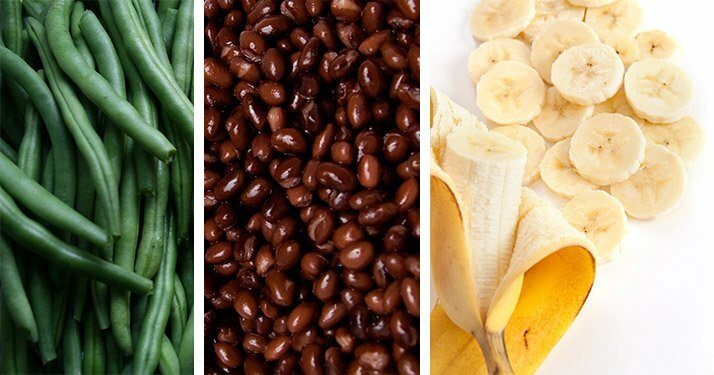 Rice and beans are inexpensive, as are canned green beans and bananas. Go out to dinner only on special occasions. You can often cook at home for less than half the price of a restaurant check. It's also worthwhile to note that making the decision to get healthy may mean you'll eat less. So, you may find that you'll be buying less food than you were before, which will help you maintain your grocery budget. It's true, gym memberships can be expensive. But, if there is more than one gym in your neighborhood, shop around. Ask about prices, coupons, and specials. You never know what kind of deals you can score. If you really can't swing a gym membership, start looking around for ways you can get fit without one. Do you have a friend with a home gym? Ask to use it in exchange for painting, lawn-mowing, or even babysitting. Look for an outdoor park that has bars or other gym equipment. Search for bodyweight or limited-equipment workouts on Bodybuilding.com that you can do for free. It may also be beneficial to buy a few pieces of equipment for your home. Buying equipment may be a little more money up front, but will save you a lot of bucks down the road. I suggest starting with a kettlebell, some bands, or a pair of dumbbells. You can definitely lose weight and get healthy at home with limited equipment. If you have kids, spend an hour playing with them, or sign up to be a coach. You'll be way more active without having to think about it, and you'll have fun at the same time! Although you can get into a lot of heated arguments about which protein source is the best, the reality is that protein is protein. Some people like to eat it, some people like to drink it, and some people like to do both. You won't lose your gains if you eat a slower-absorbing protein source like chicken after you work out instead of a whey shake. That being said, your fitness goals and your nutrition routine are entirely personal. 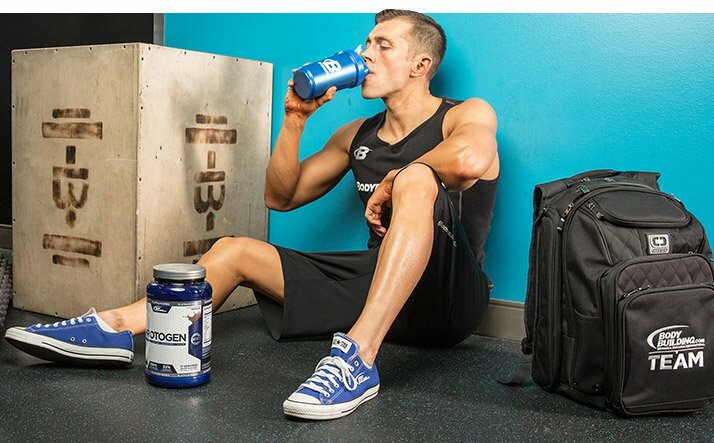 So, if your protein shake is what motivates you to work out, then buy it! You can fit it into your monthly budget by planning your meals and deciding how much more protein you need and what sources you need it from. If you're getting two meals' worth of protein from a shake, then maybe you don't need to buy as much meat. Although you can get into a lot of heated arguments about which protein source is the best, the reality is that protein is protein. It's also important that you figure out how much protein you actually need. It's pretty common to hear 1-1.5 grams of protein per pound of body weight per day, but that's not really accurate. If you're an active person who wants to build muscle, a more precise measurement of your protein requirement is something like .6-.9 grams of protein per pound of body weight per day. If you go by that measurement, you might find that you don't need to buy as much meat, dairy, protein powder, or other expensive protein sources. You don't need new Nikes, a compression shirt, or a sweatband that matches your shorts to exercise. Although it's fun to have new gear, it's definitely not a must for training hard, losing weight, or building muscle. The truth is that you don't need anything to work out except whatever comfy clothes and sneakers you already own. Sure, you might feel awesome in those rad new wrist wraps and heavy-duty lifting belt, but if you're not doing huge squats or putting a lot of pressure on your wrists, you just don't need them. The same can be said for supplements. Supplements can be expensive, and it's unlikely you'll be able to fit everything on your wish list into your budget. It's imperative that you decide what you need. If you can't work out without a pre-workout, then get one. If you do that, however, you may need to forego that morning stop at Starbucks to make up for the cost. If you're plagued with nagging injuries, it's probably smarter to invest in some good equipment. Don't hurt yourself by trying to save extra cash. Who knew that exercising could actually help save you money? There are lots of healthy habits you can practice every day that won't just make you look and feel better, but can end up as dollars in your wallet. Who knew that exercising could actually help save you money? Walk, bike, skip, or skateboard to work, school, or the grocery store every day instead of driving. Not only is all this extra movement super healthy for your body, but it's good for the environment and will help you save on gas. You can also try to quit or cut back on your "sins" like smoking, or drinking alcohol or soda. Although having your daily soda may seem like an innocuous cost, it can add up to over $400 a year! Imagine what healthy things you could do with that money instead. Do you have other suggestions for saving money in the name of health? Leave a comment below and let your fellow Bodybuilding.com users know. Your experience might be exactly what someone else is searching for! When you're a busy student on a tight budget, eating right can seem like an impossible task. Get through the school year and into a stronger, healthier, and better-looking body!